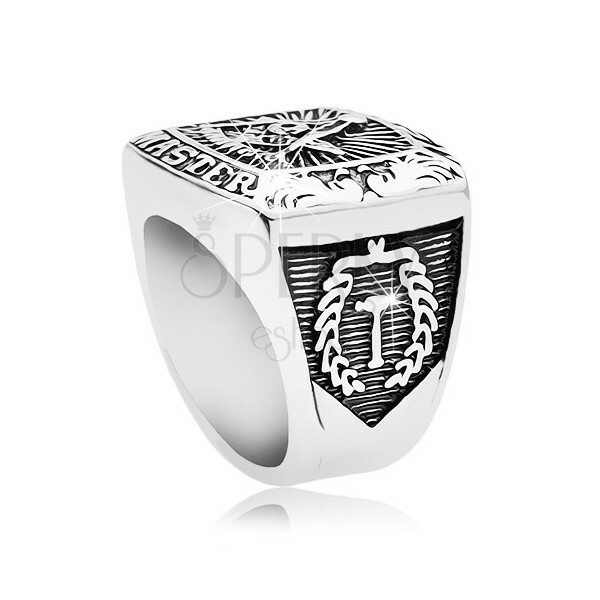 Massive ring made of 316L steel, silver colour, big patinated rectangle and freemason symbols. The steel ring in silver colour has wide shoulders. 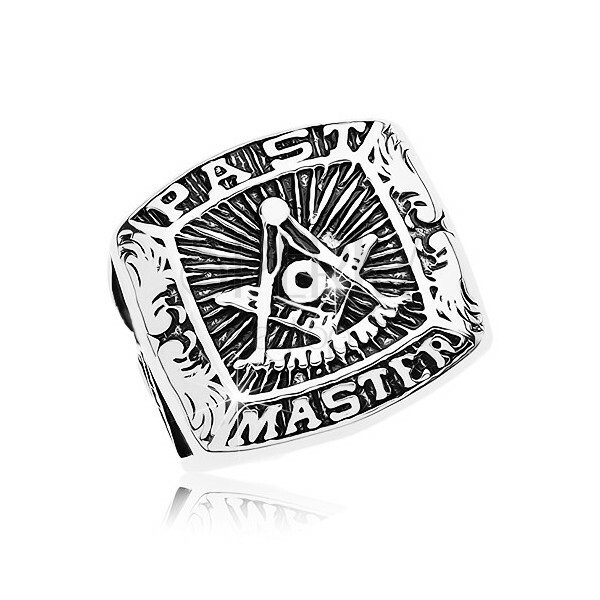 The ring's front part is composed of a big rectangle, in which a patinated symbol of freemasons is depicted, lined with radial stripes. The widened part of the shoulders is also decorated with symbols, straight lines and black patina.